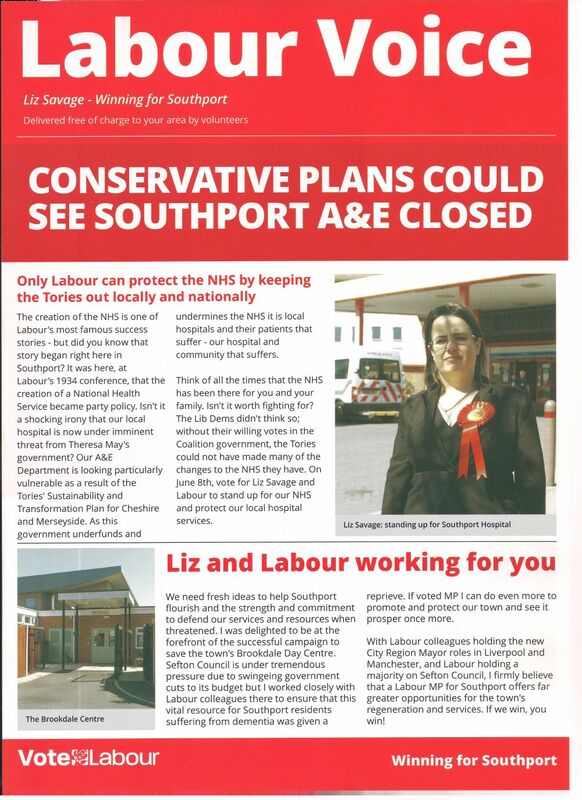 Did you know that Southport is the birthplace of the NHS… but our A&E is under Tory threat? Did you know that our candidate, Liz Savage, doubled her vote in 2015 and now stands a real chance of winning here? Did you know that Labour is Southport’s best chance for regeneration? 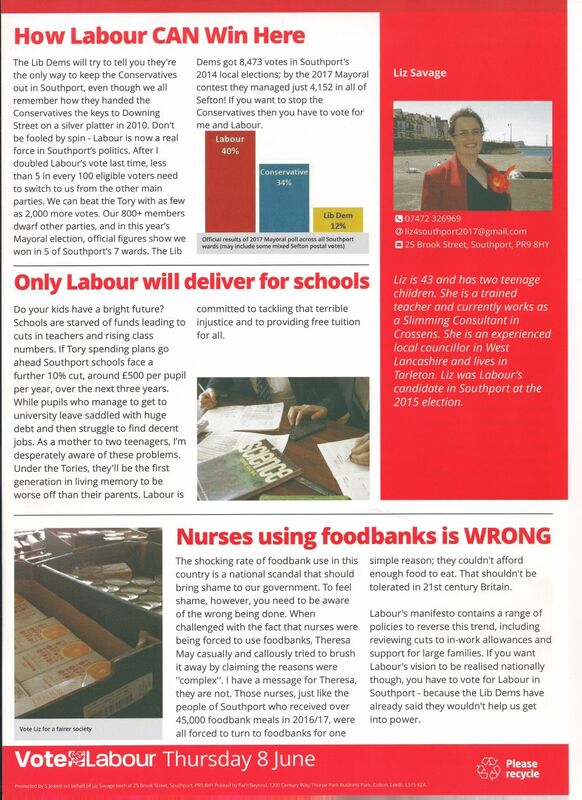 Labour Voice, tells it like it is. Previous Previous post: On the #GE2017 campaign trail….